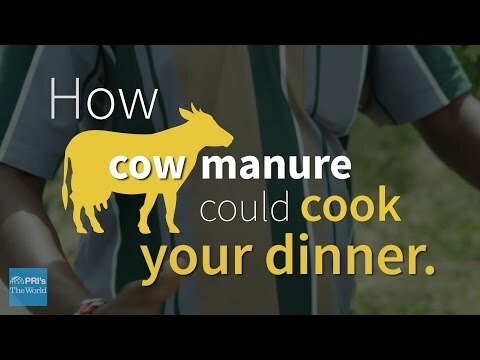 Kenyan scientist Joseph Lentunyoi explains how the daily manure output of just one cow can be converted into hours of cooking gas. Water is the most precious resource for communities around the globe. Yet, surprisingly, aid projects to drill wells in Kenya often failed because people didn't maintain the wells. Now communities are taking responsibility for cooperatively managing their water and their success is leading them to tackle other problems, like education. Do you you know where your clothes were made? Do you know who made them? Those are the questions campaigners want you to ask on Fashion Revolution Day — marking the first anniversary of the Rana Plaza factory collapse in Bangladesh. Julia Cooke traveled to Cuba over five years, and her new book dives into the world of young Cubans. Brazil will host the World Cup this summer and, in 2016, the Olympics. And for Brazil's young adults, that makes this the perfect time to protest their country's lack of opportunities and crumbling infrastructure. It's somewhat surprising that Russians are turning out in such numbers to see the Paralympics in Sochi. Even five years ago, that probably wouldn't have been the case, a disability rights advocate says. Russia's disabled have to be "everyday paralympians" just to get around. The latest film by Academy Award winner Megan Mylan shows what can happen if you make even a tiny investment in a young women. Brazil is rushing ahead with big economic development plans. It will host the soccer World Cup later this year, and the Olympics two years later. But all that progress is challenging the traditions — even the way of life — of the country's indigenous people. The Bedouin in Israel are no longer nomads. In fact, Israel's government is having trouble convincing them to move. Israel wants to use the land where they now live and has been offering to move them into towns with paved streets and modern conveniences. American food subsidies and food aid to Haiti may be undermining Haiti's efforts to recover from disaster. On a global level, rising food prices may be next biggest threat to our human rights. The worldwide economic collapse has temporarily brought down food prices and turned attention away from the global food crisis. 'The World' reports on a new United Nations task force created to tackle the global food crisis. While westerners design products to aid the "developing world," Carolina Vallejo created a competition for people from the developing world to design for the west. Why technological fixes often fail to deliver in the developing world – a story with a lesson and an online discussion. Author Rowan Gibson talks about how businesses can encourage innovation even if their host countries don't. Efforts to promote sustainable development globally, and the economic, social and environmental impact. An unparalleled rate of urbanization in Beijing has some lamenting that the city has lost its soul. A new study finds that the economies of poor countries will suffer most from the effects of global warming.